Jermaine Francis: "I Am Challenging My People to Change"
"I Am Challenging My People to Change"
We all need to be challenged at times as it stretches us and causes us to grow and to change. This is a great challenge put out by Jermaine Francis of Florida, in which he shares that the Lord is challenging us to change. I felt the Lord say for 2017 that, "I am challenging My people to change." 2. Something that by its nature or character serves as a call to battle, contest, special effort, etc. 4. A demand to explain, justify, etc. "The Spirit of the LORD will come powerfully upon you, and you will prophesy with them; and you will be changed into a different person" (1 Samuel 10:6 NIV). I saw the Lord standing like a ticket attendant at a sports game. We handed the Lord our ticket and expected to get a seat near the front. The Lord then directed us to go up the bleachers, not down towards the field, like we used to. We went away from the field up the bleachers and we were lead to the VIP executive box overlooking the entire field. We had an expectation of where we were going to sit. He challenged us to change our normal routine of where we used to sit. He took us to a much better seat and positioning. He is challenging things inside of us that are limiting us. Don't be afraid of what God begins to change in your life this next season. We see in Genesis 39-42 Joseph went through a challenge. Things seemed to be heading the opposite direction of what Joseph's dream was. God was escorting him to his destiny. He was able to save an entire nation from a famine and be positioned in a new place of authority. Don't reject or resist the challenge. Trust what the Master Potter is doing in and through your life in this season. He is making something beautiful. 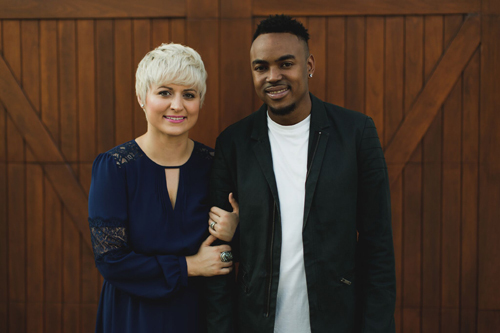 Jermaine and Rebecca Francis are a practical, relational, and joyful ministry team, whose purpose is to strengthen, equip, and serve leaders in the Body of Christ. Jermaine and Rebecca have a heart to see people awakened and equipped to impact their world with the power of God. They travel preaching and teaching passionately at churches and conferences around the world. Along with travel, Jermaine serves at his local church on prophetic teams under Prophet Bill Lackie and is the Video Director at Vision Church @ Christian International. He is a licensed minister under Christian International Ministries Network, overseen by Bishop Dr. Bill Hamon. He is also connected to Vision Church @ Christian International under Apostles Tom and Jane Hamon. Jermaine attended World Harvest Bible College (Now Valor Christian College) in Columbus, OH under Pastor Rod Parsley. He then received his Bachelor's degree from Ministry Training College under Christian International in Santa Rosa Beach, FL.